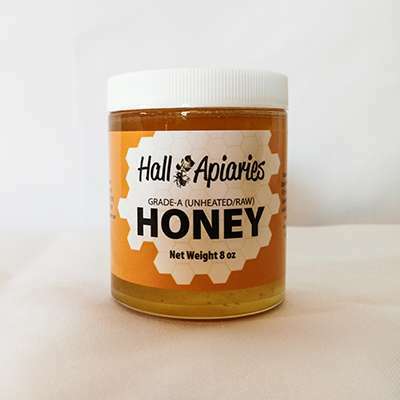 All honey is unheated / raw, gravity filtered to retain all the natural enzymes, aroma and flavor profile that honey is meant to be. Being that the honey is raw, crystallization will take place and is a natural process. To bring the honey back to a liquid state simply place the container in a water bath at 80 – 90 degrees until liquid. Light amber– Collected by the bees from May – August. Most of the nectar profile in this honey is derived from basswood (linden) blossoms. Other nectar sources include clovers, black locust, dandelion, honey suckle, sumac and milkweed. Dark amber– Collected by the bees from mid August – early September. Nectar profiles in this honey vary from year to year but are mainly made up of golden rod, Japanese knot-weed, and asters. This honey will crystallize quickly!